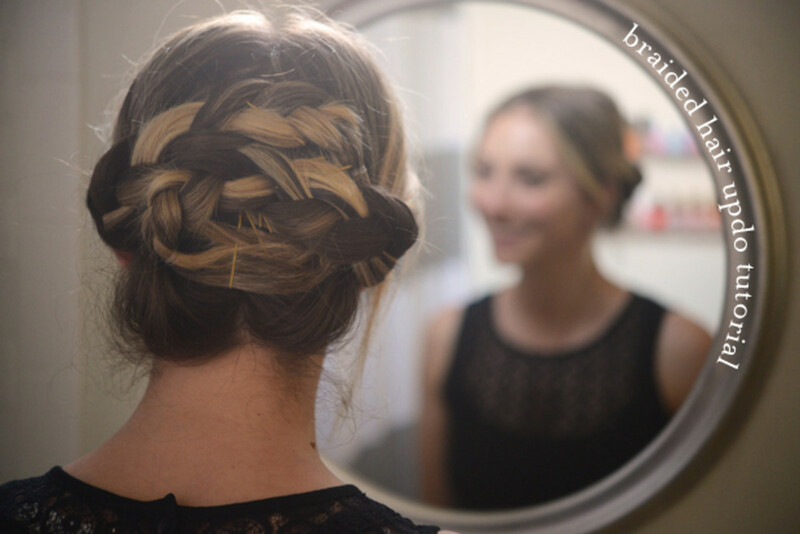 recent post, I featured one of my favorite looks: the simple braided updo. I love this one because it looks intricate, but it&apos;s actually really easy and takes only a few minutes to complete. Here&apos;s how to do it. 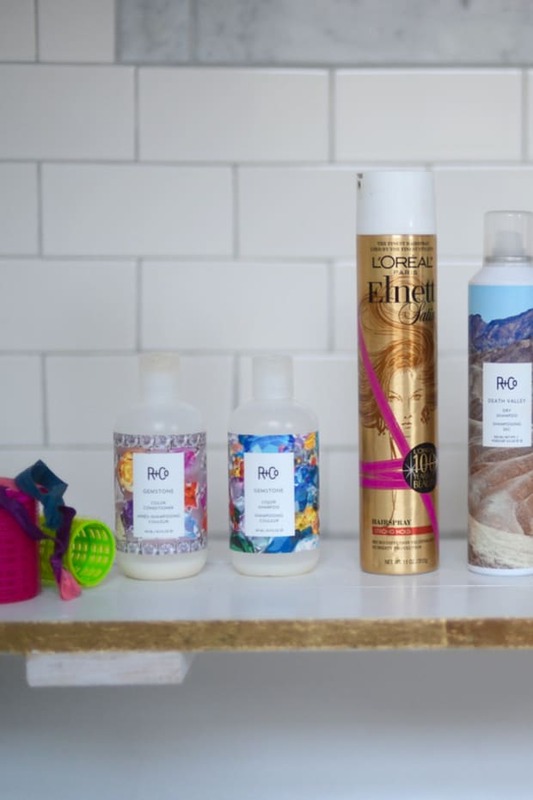 Items you will need: a comb, clear hair bands (2) and bobby pins. 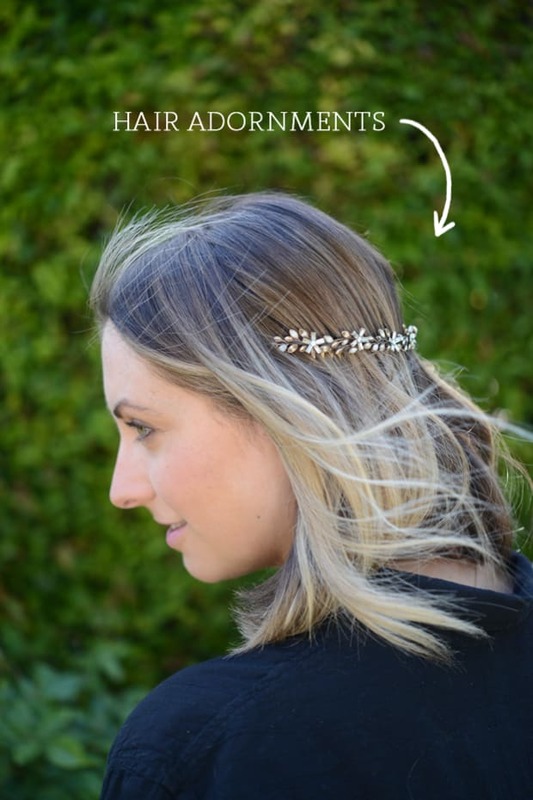 If possible, use bobby pins that are close to your hair color, so they camouflage a bit. 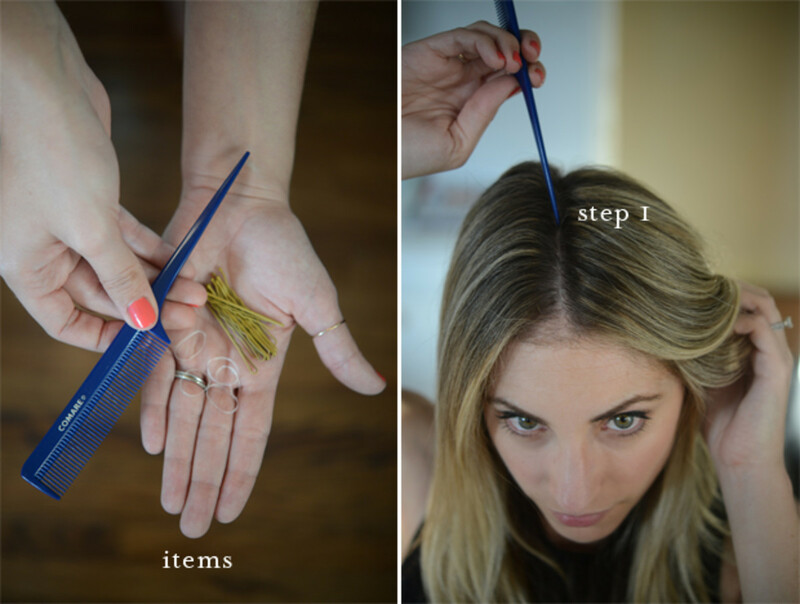 Step 1: Part your hair down the center all the way to the back of your head, separating it into two equal sections. Step 2: Take one of the separated sides and secure with a hair band so it doesn&apos;t get in the way. 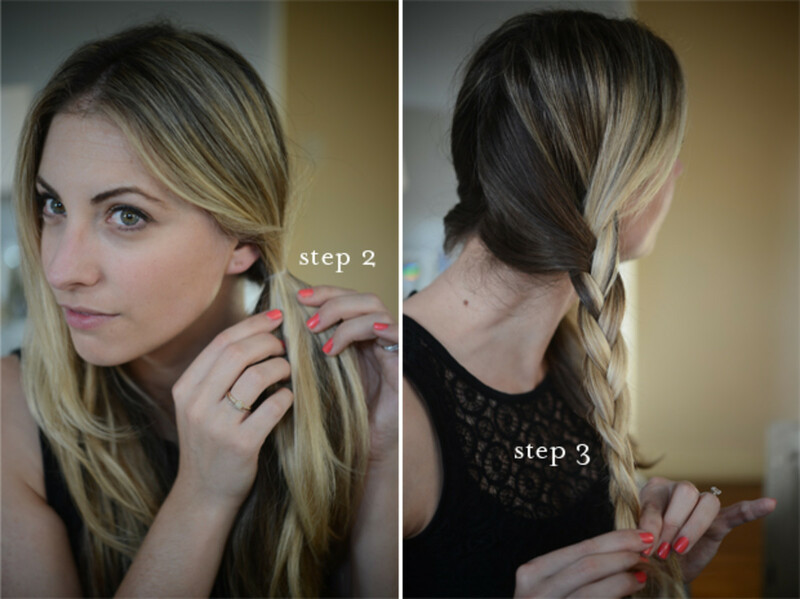 Step 3: Braid the side of your hair not secured in the hairband. Don&apos;t worry about making it too tight - it should be slightly loose, so it&apos;s easy to work with. 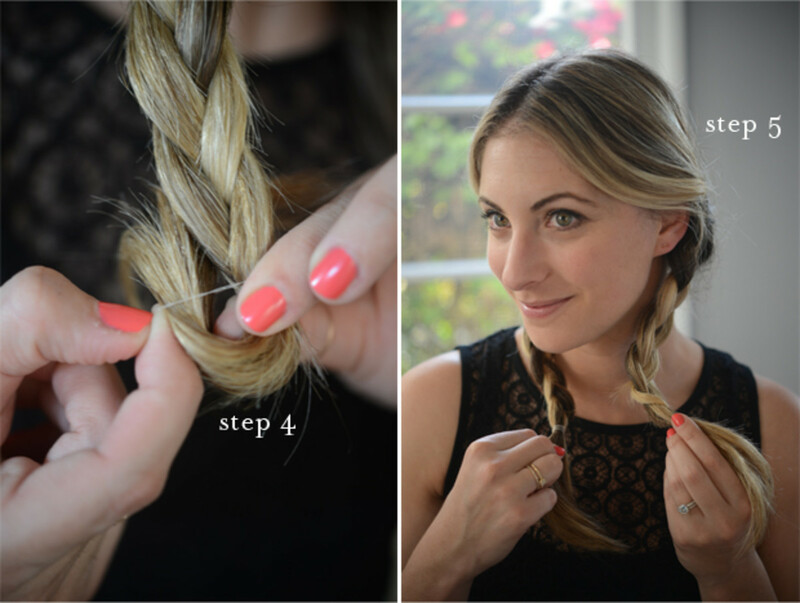 Step 4: Tie the end of your braid with a clear hairband. Step 5: Repeat steps 3 and 4 with the other side, resulting in two Pippy Longstocking-esque braided pigtails. Step 6: Take one braid and bring it across to the other side, making sure it&apos;s even and that it looks okay from the front. Step 7: Secure braid with the bobby pins from the top and bottom. 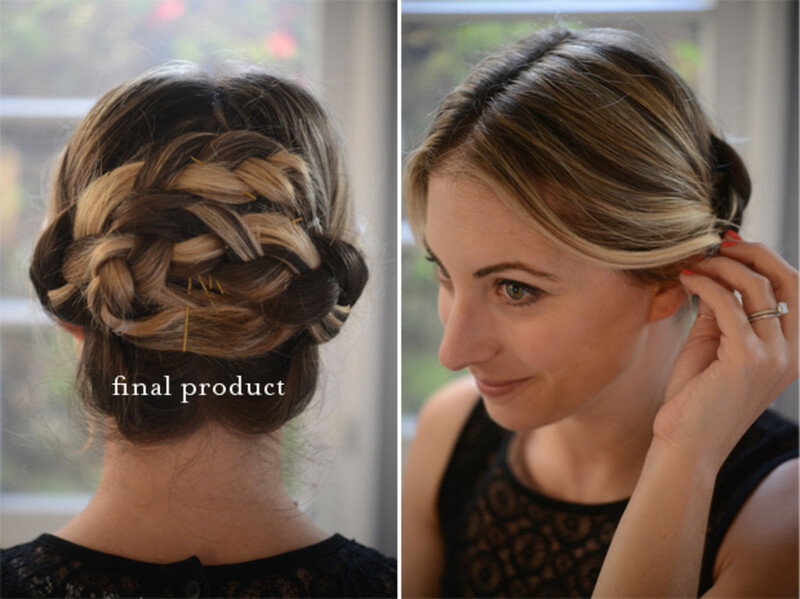 My rule of thumb: add one bobby pin each inch of the braid, tucked under so they&apos;re not too visible. 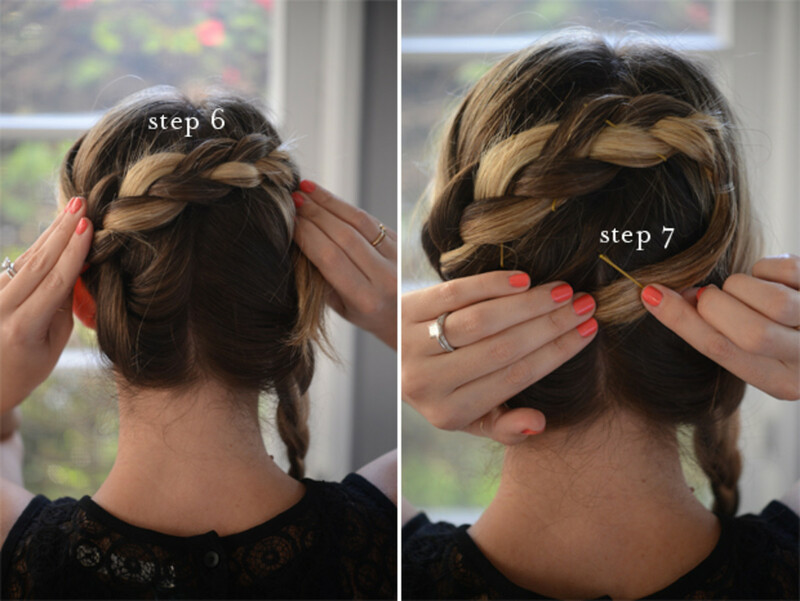 Repeat on the other side and pin the braid directly under the first, so they&apos;re right on top of each other. 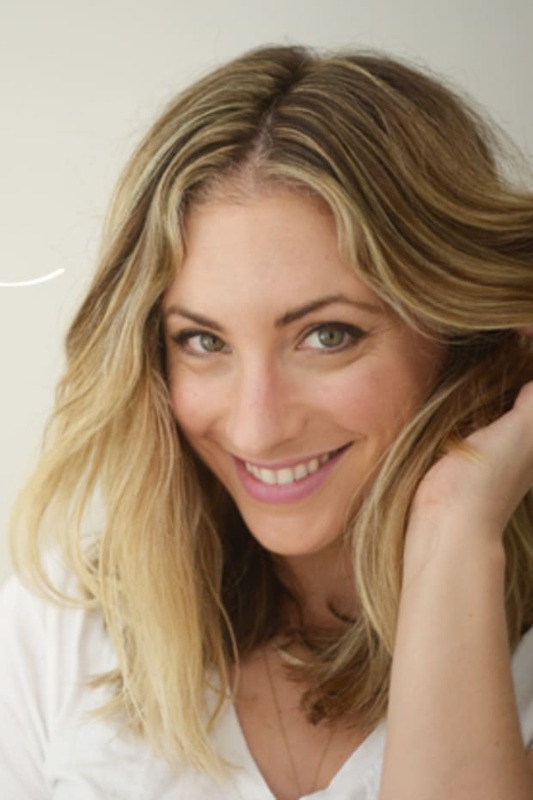 Take out a few loose hairs right along your hairline so the look isn&apos;t too perfect. Stick a few bobby pins in your purse, so that if it becomes loose during the day, you can secure it easily.